← Some size….SABRI Mussels are just divine! As Eddie Coffey would say, yesterday was a “Grey Foggy Day”. I woke up to a dense fog, thick clouded sky and not a draft a wind. Although, I could hear the little motorboats gradually leave the wharf in my tiny little fishing village of Green Island Cove. As the afternoon approached, it was clear that today was the day to participate in the recreational cod or what in Newfoundland and Labrador is commonly referred to as the food fishery. 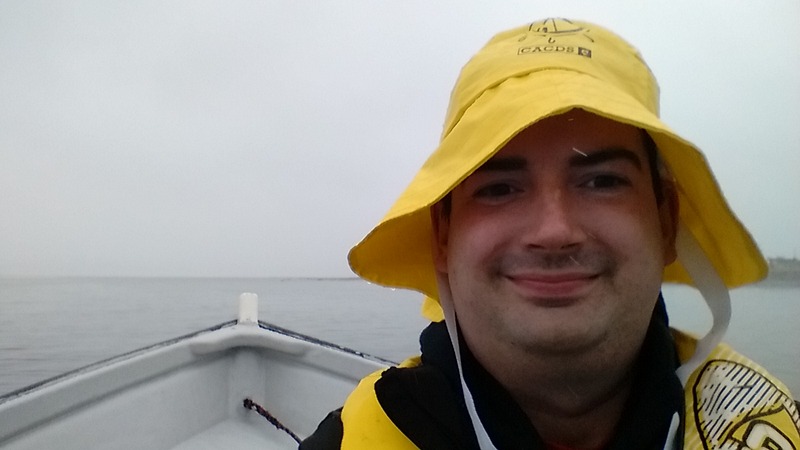 A few weeks each summer the Feds designate a time when Newfoundlander’s and Labradorians can take to the water and catch just five fish per person, per day with a maximum of 15 per boat if there are three or more people in each boat. The concept of the food fishery and the heavy regulations are a constant frustration of rural Newfoundlanders and Labradorians. My father was a commercial fisher. In fact, everyone ancestor down my family line on my father’s side was a fisher, stemming all the way back to Southern England. My father and I would go out fishing post-moratorium (post-1992) for a few weeks each summer to fish a nominal quota allocated to commercial fishers capped at a few thousand pounds per week until the overall quota was caught. Since his passing, my only option to catch my five cod like everyone else, as I’m the only person in my family line that never had the option of becoming a fisherman. As a politician, I constantly speak with fishers and hear their frustrations with the lack of communication in Ottawa regarding our fishery. I hear how abundant the cod is and how much larger they are and this was solidified yesterday when I took to the water to catch my own five fish. There is a sense of belonging each time I’m on the water. It is certainly in my blood to continue to practice our traditional ways of culture, heritage and way of rural living. One of the reasons I left Edmonton to return to Newfoundland was to be close to the water. We did not go far to catch our cod, just off Green Island – it is the small piece of land in which our community is named. 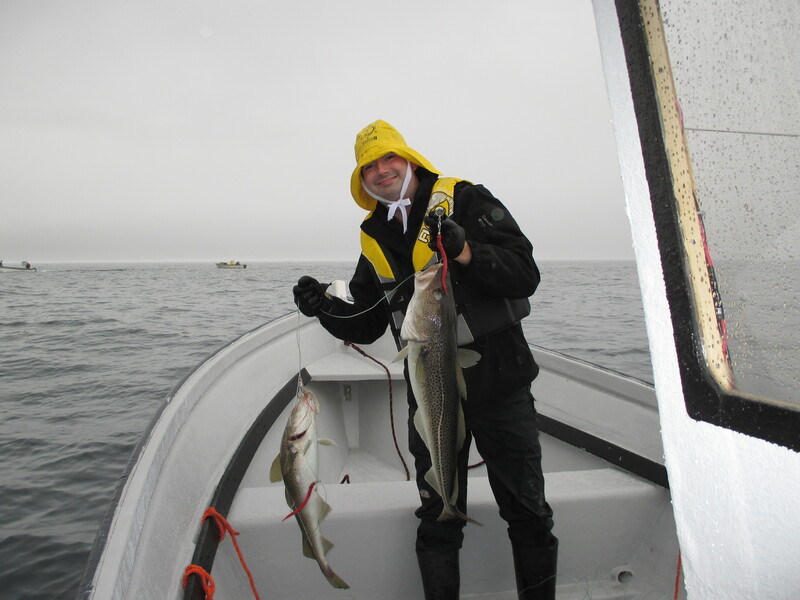 After a little while tugging on the line, we hooked some – in fact, I got a double! There were many little fishing boats all around us, including the blowing sound of a whale. The fish were full of herring and caplin. The fish and whale were feasting! It did not take too long to catch our 10 fish, we got 5 a piece and they were some size! I remember jigging with Dad some 17 years ago, but the cod were not as large as these – only a scattered one would the size depicted below. Cod fish are larger, more abundant and it appears no one is listening. How can it be that so few nets are being used and commercial cod quotas are being filled in days? It’s beyond time to focus on how Newfoundland and Labrador deals with a return of the cod. Iceland has been quite success with their cod fishery and it continues to evolve. Up on the wharf we showed our catch, gutted the cod, kept the britches and looked forward to a meal. Until we get change at the Federal level, Newfoundlander’s and Labradorian’s will be forced to take a paltry five fish a day. Something has to change, because 5 fish does not cut it for a resource that sustained us for more than 500 years. Posted on July 30, 2015, in Cuisine, Heritage, Politics, Them Days..Today, Tradition and tagged Boat, cod, fish, food fishery, Great Northern Peninsula, Green Island Cove, Newfoundland, recreational fishery, tradition. Bookmark the permalink. 1 Comment.